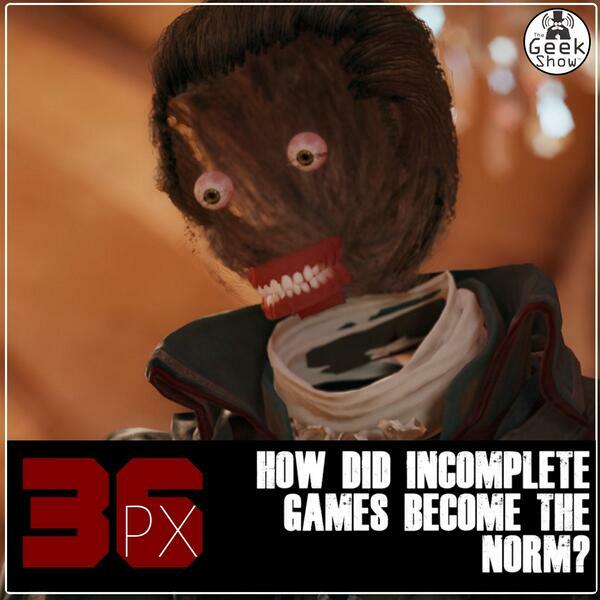 Audioboom / PX36 - How Did Incomplete Games Become the Norm? PX36 - How Did Incomplete Games Become the Norm? Video games are a multi-billion dollar industry, so why has it become normal for developers and publishers to release unfinished games? Join Andy and Rob as they investigate this peculiar problem, and also why a bunch as salty as gamers continue to allow the industry to get away with it. With some relevant unfinished games (Final Fantasy X (US version), Knights of the Old Republic II, STALKER: Shadow of Chernobyl, Metal Gear Solid V), Agatha Christie, Sherlock Holmes, horse armour, developers, publishers, streamers, fast-food and more, there’s something for everyone on this episode of Press X.